I greedily watched the countdown clock for this baby….I wanted it soooo bad! Cole was a firecracker in the previous book and I had a feelin’ his book was going to be fun. I wasn’t disappointed. If you haven’t met the boys in The Halfway House yet…you are missing out. And though it certainly can be a stand-alone, I would encourage you to start with ‘A Better Man’. *sigh* This is no hardship, I promise. I believe it flows better having the history of the guys and the house. Cole is a bottle of high octane; feisty, primed, and ready to go. Problem is, his brain is continuously running past the redline and lacks any necessary filters. He is mouthy. He is honest. He’s a total spaz. But he’s so damn lovable. Cole is a people person. Not only does he come from a large family but he also made a second family of his own, his crew. Growing up he failed to compete with his siblings on every count, but finally found his niche with cars. Boosting them to be specific. He was the best of the best, but slipped up and got busted. If you’ve got a thing for speed, custom cars and exotic’s…you and Cole will get on fast and furiously. After finishing his time behind bars he was assigned to six months at the Halfway House. Hunter Donovan saw the crossroads Cole was dancing around and dangled a shiny and enticing carrot in front of his nose. He left the keys, title, and a strict contract for Cole…and Cole wants that damn car. Then he starts his new job at Calloway’s and discovers something else he wants even more. Ty is quiet, guarded, and damaged. He is cautiously walking through life, avoiding mirrors and the pity he finds in the eyes around him. Tragedy struck two years prior and he lost his parents, his confidence and his smile. His brother Aiden handles him with kid gloves and tries to protect him from every possible threat. He never expected the spark Ty needed was behind a pair of mismatched eyes. Sometimes the best medicine is laughter. Cole ignites something in Ty, something he thought he would never find again. Julian and Matt have ample page time (yay!) and the seed for Aiden’s story has been laid. I loved saucy savvy Cole. I loved sweet splintered Ty. I loved them together. Their banter was addictive. Their healing was beautiful, for it wasn’t single sided, they restored one another. I adored the unhurried burn…it was appropriate for Ty’s renovation in learning to love and forgive himself. A copious amount of blue balls made for a fiery ‘at last’ moment. So what didn’t I love? I didn’t love the ‘bad guy’. The Gone in 60 seconds flashback was not my favorite. I didn’t love Mami’s birthday party. Julian’s doppelganger twist was…weird. Those are not the moments that stuck with me. The moments that stuck with me included intimate tousled hair pulls, the power of a mirror, and the strength in surrendering to love. Ohh, and super hero undies! Reese’s boys always hit all my buttons. I’m craving a mai-tai and a double dose of a tightly wound car nut and his perfectly fitting metal man. I LOVE Jaime’s boys…they all make me so happy! Cole is a bouncy ball and Ty is his quiet place. They are so different and yet a perfect fit. Can’t wait to hear your thoughts…if you think of it, please swing back by and let me know whatcha think. I did, I truly did. I was wondering how you’d pull it off after Cam & Hunter…but Cole & Ty stole my heart. I was biting my tongue after asking…but I couldn’t resist, I can’t stop thinking about that journal. Psssst….every time J’s *ahem* Julian’s pic pops up….I stop breathing for a millisecond. His stare is….something. BUT, Cole’s pic was perfect. I never bother looking for pics of your boys…I see them exactly as you do. Thank you! he is sooo Cole. I don’t have the heart to change J’s pic for my avatar. LOL I love seeing him staring me down when I log in to my email. And the rest of the gang? Awesome. I heart your ‘meet the characters’ sooooo hard. 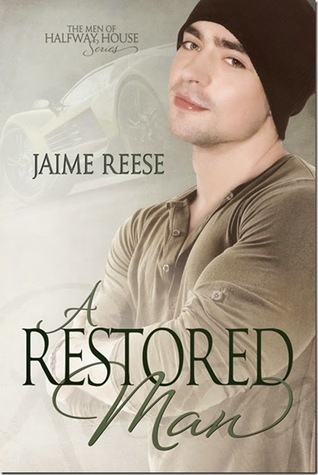 This entry was posted on February 16, 2015 by Sheri in Contemporary, Reviewer: Sheri and tagged 4.5 Stars, jaime reese.